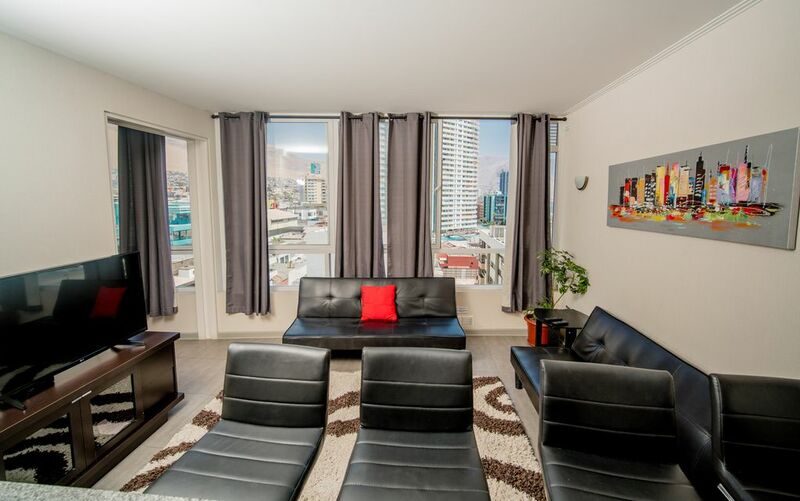 The building is located in the southern part of the city and steps from the beach to one of the two main beaches of the city of Iquique and it is also minutes from Cavancha beach, here everything is very close. A few minutes by car and walking is the supermarket unimarc and blocks also there are clinics and restaurant to spend a nice vacation. The apartment is equipped for 4 people, has everything you need to stay a few days, has a double bed and two futons which are adapted to sleep or as an armchair. The building has a swimming pool and gym.